Thankfully, we are not going to end up having to spend a night in Hotel "Children's Hospital" after all! "Whew!!" is an understatement!! 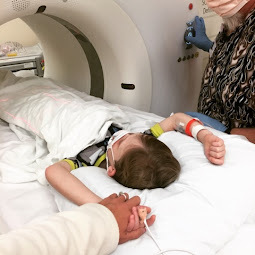 After several hours at the pediatrician's office this morning and our local radiologist's confirmation that he/she suspected a bowel obstruction, Bennett and I were sent to be evaluated by the Scott and White Children's Hospital pediatric surgeons 30 minutes away to decide a treatment plan. We were fortunate to meet with Dr. Perger, the same doctor who did Bennett's last rectal surgery several years ago and a doctor I really like. She was able to look at the X-ray with her trained eye and determine it was not an obstruction after all. It turns out that while he is very constipated, he is not obstructed. 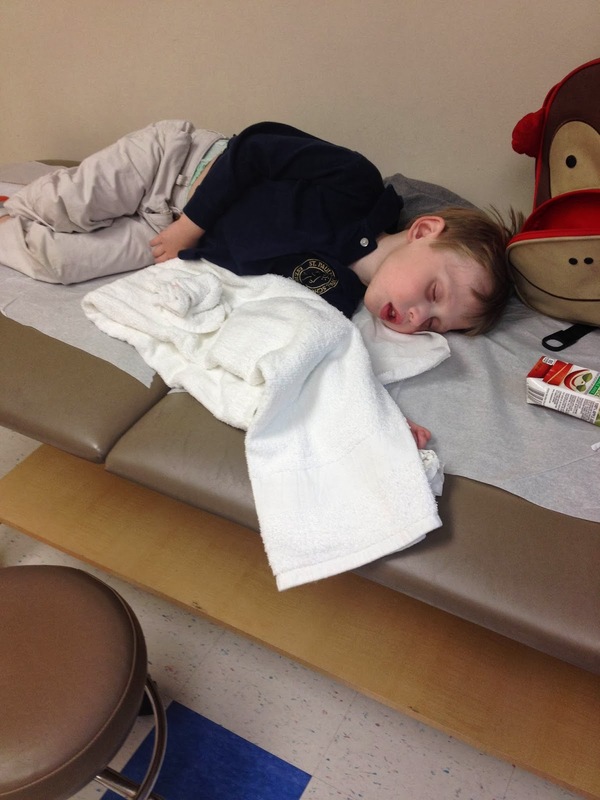 Dr. Perger believes, based on our timeline of symptoms, most likely, Bennett recently came down with gastroenteritis (the stomach virus) which, instead of causing him to vomit, caused his GI system to shut down for a few days (resulting in constipation). He also may have stopped drinking as much which exasperated his situation. Bennett has never been constipated before (his poops are always incredibly lose). Bennett rarely vomits. And he has never cried out as a child in such constant and overwhelming abdominal pain. The three of these things together, lasting for more than 4 days, eventually led all of us (including several on-call pediatric doctors, Brian and myself) to worry about an obstruction. 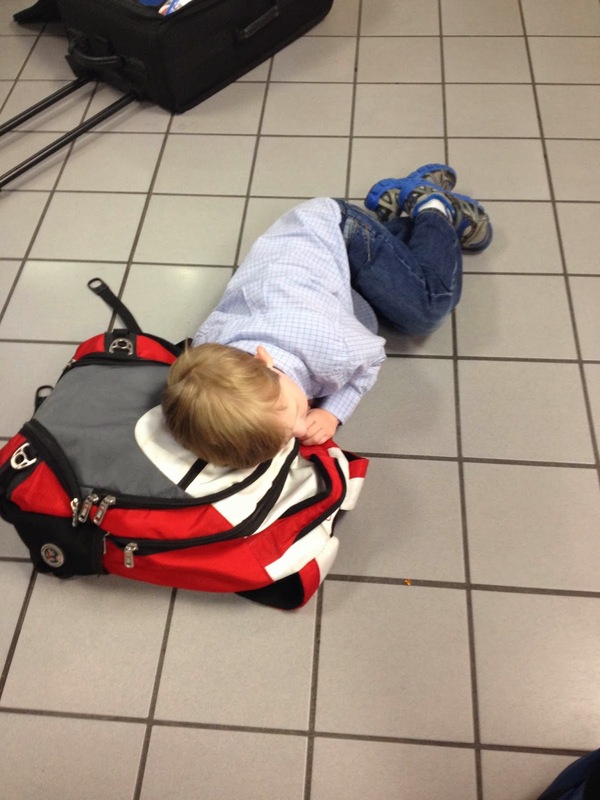 Bennett, lying on the floor in pain, at the airport. Brian and I very much wanted to believe it wasn't an obstruction. In fact, we gave Bennett Miralax as soon as the plane landed in Dallas yesterday, in hopes we could resolve any constipation. 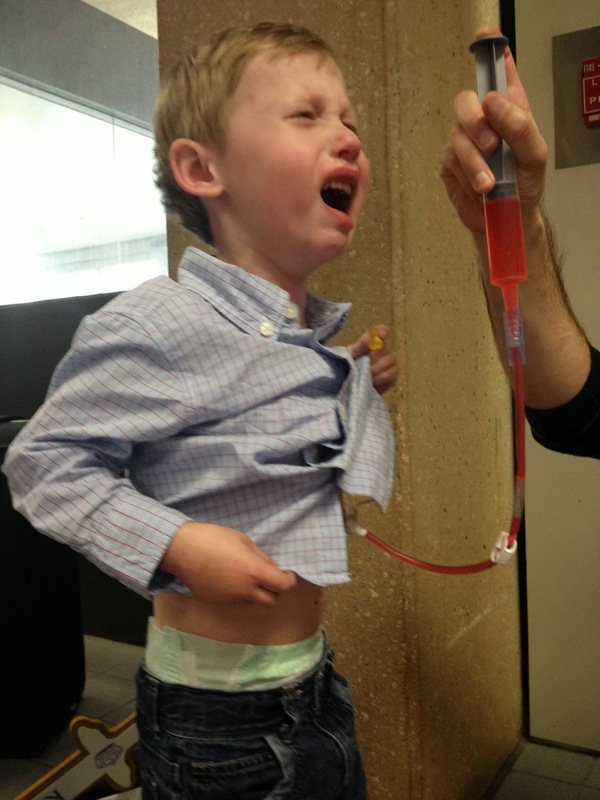 Bennett struggled to drink the amount of Miralax mixed in Gatorade he needed to drink and instead kept crying in pain. So, I got smart and we used his g-tube to bolus him the medicine. We hoped this would help move things through his colon and give him relief faster. But, hours later, he still screamed in pain. Last night, we tried an enema. But he couldn't tolerate this and cried more in pain. We called the pediatric GI doctor on call who suggested we get X-ray first thing in the morning. His biggest concern was that Bennett might soon become septic due to poop in his small intestine. Those with CF are at a high risk of DIOS (distal intestinal obstruction syndrome). A diagnosis of DIOS often has the very same symptoms as those who are severely constipated. But DIOS is much more serious. We almost took him to the ER while we were out of town. But, we knew it would be best for us to take him to our doctors in Texas who know his history. We almost took him to the ER last night when he kept waking us up crying in labor-like pains. 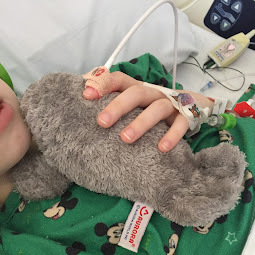 But we held off because we prefer to bring him to the doctor on a week day, rather than having a weekend skeleton hospital crew assess his condition. Bennett, this morning, finally at rest...sleeping. I am glad we finally got answers today but it's hard to know he had to wait so long to get relief. It turns out, though, relief was not going to come until today no matter what. As soon as we started to go to our appointment with the Surgeon early this afternoon, Bennett looked at me and said, "I just pooped in my pants." I excitedly said, "oh good!!" I knew it was the beginning of our ending. This was only confirmed by the Surgeon when she stated she did not believe he had an obstruction and felt Bennett's GI system would restart itself in a few days. Her biggest concern was and still is dehydration. But we got the green light to put him on Pedialyte and trust his body would recover soon. By the time we made it back home an hour or so later, I could already see a HUGE difference in Bennett's demeanor. He has almost completely stopped complaining of pain and has started acting like his old self (singing random songs and playing with his toys). I am tempted to feel like this day was a waste of my time...Maybe I could have waited it out longer? Maybe I could have known this wasn't an obstruction after all? I was not able to do anything I had planned to do today (which, let's be honest, wasn't all that exciting as I needed to unpack from our trip). But it's hard to spend the day waiting in doctor's offices and doing X-rays to find it may have been nothing more than a virus. 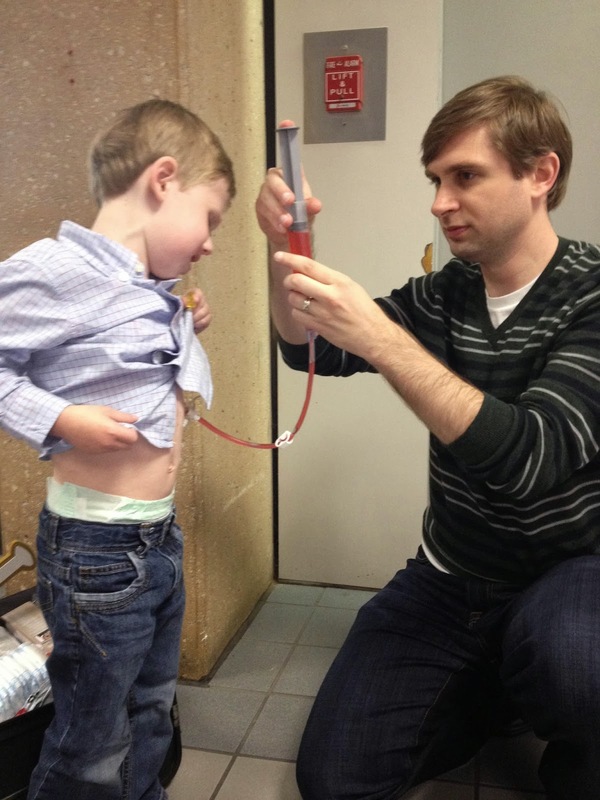 But, as a CF mom, I have to remind myself to look at situations like this as hands-on teaching. I learned today: how to better spot the signs of DIOS, how to look for symptoms of dehydration, how the body works when it's sick with a virus, how to get a good X-ray to determine an obstruction (patients must stand up for the X-ray, not lie down due to air in the bowel), who to call first about this issue in the future (bowel obstructions are a surgeon issue, not a GI doctor issue) and how to better read an abdominal X-ray when looking for obstructions. Before I had a child with CF, I believed it was the doctor's job to know these things, not mine as a mother. But now that I have a special needs child, I realize that it's my job to be able to spot these things faster, understand what I'm talking about and be able to speak as clearly as possible about my child's symptoms. DIOS is a lifetime risk for those with CF so I doubt this will be our only brush with it. But, I now know better what to look for when I am considering whether or not Bennett has it. 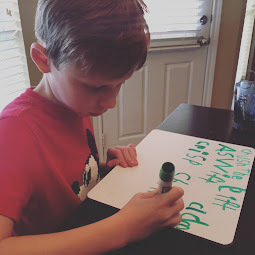 Every doctor appointment is an opportunity to learn how to be a better CF mom. Just glad I didn't have to learn hands-on with a hospitalization this time!! Glad he's OK!!! We had a similar situation a few months back, although it seems as tho our clinic is a bit more alarmist with not going to the bathroom. We called on day 2 and they immediately had us go to the ER. Luckily he went poop a few minutes later so we didn't have to go but then he was on a quadruple dose of milk of magnesium/miralax for a full week to make sure we flushed out any partial blockages. Now they've told us that if he goes more than 24 hours we need to call it in and immediately start giving laxatives 2x per day. Interesting to see how different clinics handle all this stuff! Glad you don't have a hospital stay tonight, hopefully the little guy will start feeling better! Well, I have taken Azer to the ER several times over what turned out to be constipation. It is terrifying when it happens. Azer also has very loose BM's. It's amazing that they can get constipated at all, but we know when his stools start to look more "normal" to start Miralax right away. 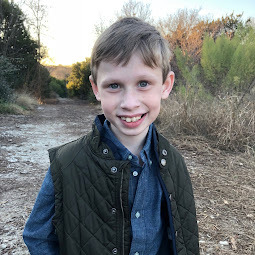 One Dr. told me that CF'ers intestines are just not as moist as they should be.I agree with you there... we as CF parents have to be responsible for SO much! This is so good to hear Azer's experience. I will keep Miralax at home at all times to be prepared. I can't believe how ubiquitous this issue is with CF. I don't think I really understood this until this recent situation. Digestive issues in CF are so annoying. :( ...but I'll take it lieu of lung issues any day. We always have so much to be thankful for!! That last photo of him lying on the table is heartbreaking, he looks so exhausted. Thank goodness everything worked out. You are such a good mama. If you are looking for laser tattoo removal gurgaon than please contact us.